Our home being our sanctuary is the most important place in the world. Since it provides us shelter, a space to relax in, and an optimum level of comfort, we are always looking for ways to improve its overall aesthetic appeal. The current trend of paving your patio, driveway, walkway, and pool decks is a great way to add an x-factor to your house. This will also add value to your house, making interested buyers to invest in it with open arms. However, with a plethora of paving materials, it is difficult to pick the best one. It even harder to choose different paving designs for different parts of your house. 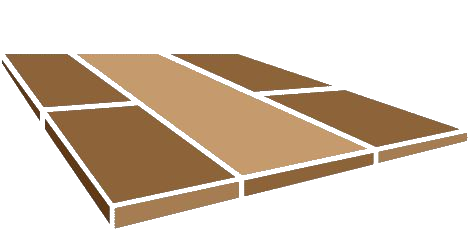 This is why we have assembled top paving materials ideal for every unique space of your house. Driveways demand excellent quality pavement with a solid base – ideally composed of gravel and compacted sand. Otherwise, the driveway is at the risk of shattering apart. All the hard-earned money you may have put in would go to waste. The top-most paving design that is also typically used for driveways is cobblestone pavers. Also known as Belgian block pavers, these pavers are way more reliable than concrete pavers, asphalt, and gravel. A long driveway installed with cobblestone pavers would not only be tough and strong but would look utterly striking. A patio is an outdoor space which is perfect to sit in and relax while having a cup of evening tea. However, when the patio isn’t pleasing enough, there is no point in hanging around there! The pavement design you choose for your patio will reflect its level of beauty. You can never go wrong with flagstone as it is versatile, and is available in different colors, sizes, and shapes. 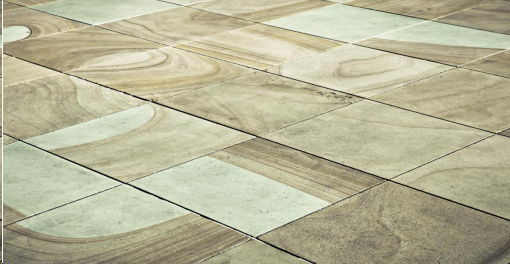 Go for flagstones in colors and shape that are appealing to the eyes. For instance, subtle grey flagstones in a puzzle designed shape will be ideal! This includes marbles that happen to be natural and eco-friendly, an ideal pick for modern homeowners. They come in a variety of colors and designs such as Roman walnut, Roman blend, ivory cream, country classic, silver select etc. Note that all types of travertine pavers are fully textured with fashionable holes. Bonus: they are super durable! Famous for its classic appearance, bricks are supremely thick, strong, and durable. They come in a variety of patterns such as cobblestone, grid, Jack-on-Jack, pinwheel brick, Flemish bond, etc. You can install different patterns of bricks in different colors in your walkway for a bold visual effect. To ensure that bricks last for a long time, it is best to install them over a good base and maintain them regularly. With any of these attractive and functional pavers, you can easily increase the value of your property. So what are you waiting for? Hire the best pavement company to enhance the overall look of your house today!